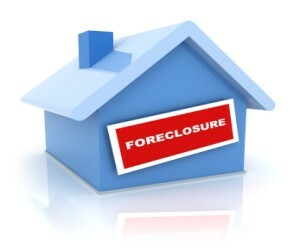 Indiana Attorney General Greg Zoeller has opposed legislation that would terminate an earlier law that formalized the Mortgage Foreclosure Trial Court Assistance program, a homeowner protection program created during the mortgage crisis in the state. Zoeller said financially stressed Northeast Indiana families need protection against mortgage companies racing to foreclose on them. "There were 1,900 distressed borrowers in Lake County who got a settlement conference, and there were 839 people who got to stay in their homes," Zoeller said. Attorney Tom Dinwiddie, who is representing the Indiana Bankers Association and Indiana Mortgage Bankers Association, said he and his clients are disappointed in Zoeller’s opposition to their legislation. He argues that Indiana ranks as the eighth “Best State to Default on Your Mortgage,” according to the AOL Real Estate website, because it takes 601 days to complete foreclosure, longer than in most states. The proposed bill would eliminate the settlement conference that gives homeowners essentially one last chance to see if they can prevent their home from being foreclosed. According to The Times of Northwest Indiana, Zoeller said that bank lobbyists are trying to convince legislators that the state program is not needed any longer due to new federal protections offered under the Consumer Financial Protection Bureau (CFPB). The CFPB said it has imposed new regulations requiring mortgage company representatives to either call or personally meet with homeowners within 36 days of a missed mortgage payment. Dinwiddle maintains the federal process will help a lot more people while Zoeller is lobbying for the benefits of the state procedure because a judge sits over the ruling with the power of the court to enforce the agreement. Toyia Moore, of the Consumer Credit Counseling Service of Northwest Indiana Inc., said she thinks there is room for both federal and state assistance for homeowners, because many region homeowners live on the margins, according to the media outlet.